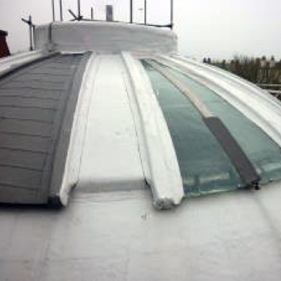 The Cupola had deteriorated to the point of failure and required a significant amount of intervention to allow it to function as originally intended. 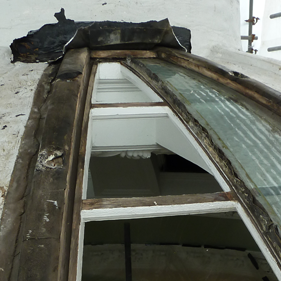 The patchwork of historical repairs obscured many original features. 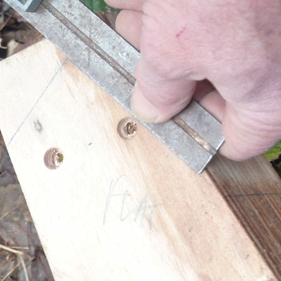 Flash banding applied in various places to plug leaks and cover rotten timber. 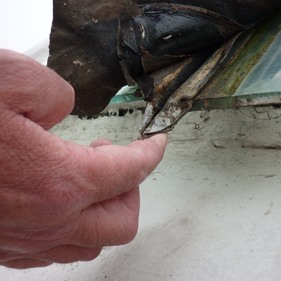 Our inspection uncovered and recorded the original construction and features. A detailed photographic record of all elements with descriptions and measurements was made. 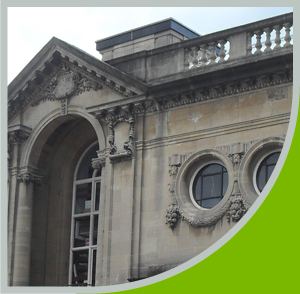 We researched the possibility of retaining the original glass but found the general condition was poor and taking it’s prominent location in a functional pubic building into account the decision was made to replace the glazing with new glass panels made to current building standards. No two of the 16 glazing panels were the same and each one was measured individually with a separate bespoke template made. 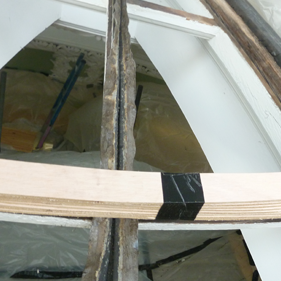 Protective batoning for the timber glazing bars were constructed to go over the original. 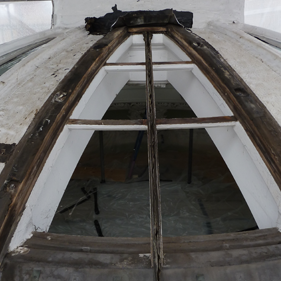 This was to ensure that even though new glass was being installed the original timber work was protected and the process remained reversible. STRESS Heritage constructed 1:1 scale formers for the respective outer ribs to ensure the majority of new lead work could be installed without the danger of breaking the new replacement glass panels. 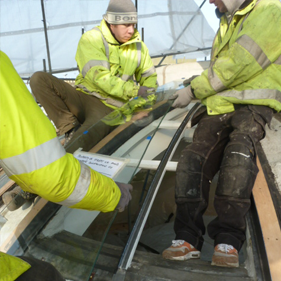 Each of the 16 individual bespoke glass panels was carefully fitted by our team. 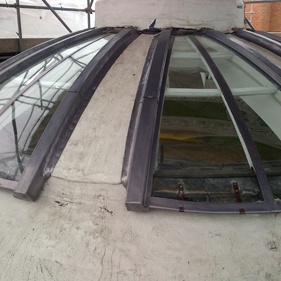 Lead work was renewed following the original design features as closely as possible. 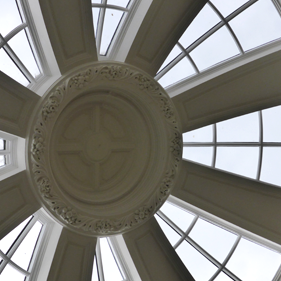 The completed glass and lead works gave the cupola a new lease of life and now allows patrons of the library to enjoy the natural light as originally intended.